The Anguilla Tourist Board (ATB) is pleased to announce that for an unprecedented second year in a row, Anguilla has been ranked #1 island in the Caribbean, Bermuda and Bahamas in the 2018 Travel + Leisure World’s Best Awards, honoring the top travel destinations and companies around the globe as rated by its readers. “This Award represents a tremendous vote of confidence in our destination, it is a wonderful endorsement of our tourism product that reinforces the credibility of our message that Anguilla is back, better than ever, in the aftermath of the challenges we have faced,” said the Hon. Cardigan Connor, Parliamentary Secretary in Anguilla’s Ministry of Tourism. “We extend hearty congratulations to our stakeholders, in particular the Frangipani Beach Resort, on their excellent showing in the Resort Hotels categories,” he continued. Frangipani Beach Resort has been ranked #1 in the Top 25 Caribbean Resort Hotels category and #3 in the Top Hotels Overall category. The Four Seasons Resort & Private Residences Anguilla has been ranked #12 in the Top Caribbean Resort Hotels category; Zemi Beach House was ranked #15; and Malliouhana, An Auberge Resort was ranked #18 in the Top Caribbean Resort Hotels category. The World’s Best Awards appear in the August 2018 issue of Travel + Leisure, on sale July 27, and online at this link: travelandleisure.com/worlds-best. A special reception to celebrate the winners will be held in New York City on July 24, 2018. For more information on Anguilla please visit the official website of the Anguilla Tourist Board: www.IvisitAnguilla.com; follow us on Facebook: Facebook.com/AnguillaOfficial; Instagram: @Anguilla_Tourism; Twitter: @Anguilla_Trsm, Hashtag: #MyAnguilla. 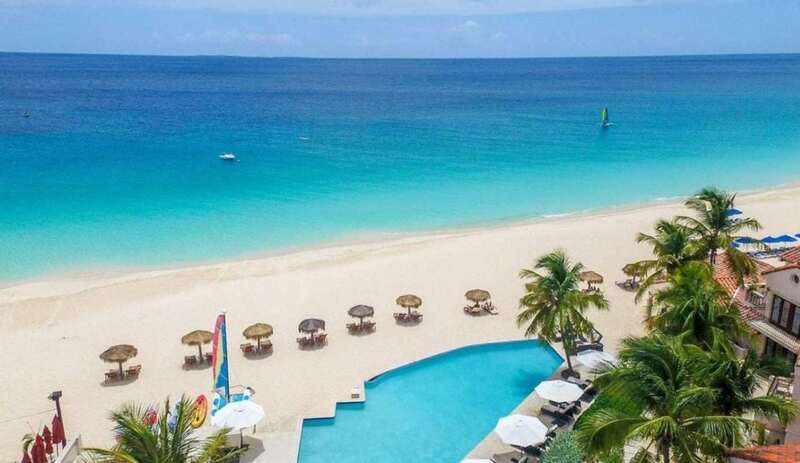 Anguilla lies just off the beaten path, so it has retained a charming character and exclusivity. Yet because it can be conveniently reached from two major gateways: Puerto Rico and St Martin, and by private air, it’s a hop and a skip away. Romance? Barefoot elegance? Unfussy chic? And untrammeled bliss? Travel + Leisure is the preeminent voice for the sophisticated traveler, serving up expert intelligence and the most immersive, inspiring travel lifestyle content anywhere. Travel + Leisure captures the joy of discovering the pleasures the world has to offer—from art and design to shopping and style to food and drink—and offers compelling reasons to get up and go. With a total global audience of more than 15 million, the Travel + Leisure portfolio includes the U.S. flagship and four international editions in China, India, Mexico, and Southeast Asia. The U.S. edition of T+L, which launched in 1971, is the only monthly consumer travel magazine in print in the U.S., has an authoritative website, TravelandLeisure.com, and an extensive social media following of more than 13 million. Travel + Leisure also encompasses newsletters and media collaborations.